The product is also sold in Japan, so it can be out of stock sometimes. In this case, your payment will be refunded promptly. We use the Paypal system,PayPal. You can pay with major credit cards. Basically, we can send any countries. However, there are few contriece (Places) we can not send. If you live in Africa, or South America (except Brasil), please contact us before you place order. This is a top speed international mail service for sending up to 30kg of documents and other goods simply and conveniently to over 120 countries and territories worldwide. This shipment is highly recommended for safer transaction. We will check the item and its availability, we will ship out the item within 7 working days after confirming the payment. However, if the product was damaged during shipping, please let us know and go to your nearest post office to have them issue a damage report. Enter 13-digit Tracking number to trace your cargo. 'Delivery time' shows the average number of business days. We are not responsible for each country's custom clearance procedure and custom duties. If your item has been kept at custom, it may be caused of a delay in delivery. Please understand that it's your country's regulations, laws or any rules, and outside our control. So please make sure that your PayPal address is up to date. 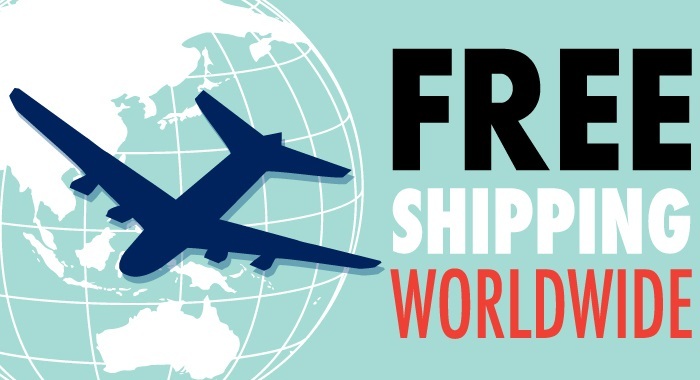 Import duties and taxes are not included in the item price or shipping charges. These charges are buyer's responsibility. Please check with your country's customs office to determine what these additional costs will be prior to purchase. These charges are normally collected by the delivering freight (shipping) company or when you pick the item up - do not confuse them for additional shipping charges. We are so confident in the quality of our products we offer a 30-day money back guarantee. We will exchange damaged, defective, or incorrect shipped items. If you received such, please save the item and the whole package for inspection. Please contact us within 30 days after receiving the purchased item. In this case, and if we were at fault, we would cover additional shipping costs. After 30 days from receiving the item, product is already irreplaceable. Or if you have used the product,we can't replace the product. If you have any type of feedback or you are unsatisfied for any reason, please make sure you contact us so we can resolve the issue at hand. When you return the item which you have simply changed your mind about a purchase, please be sure that shipping cost is at your own expense.